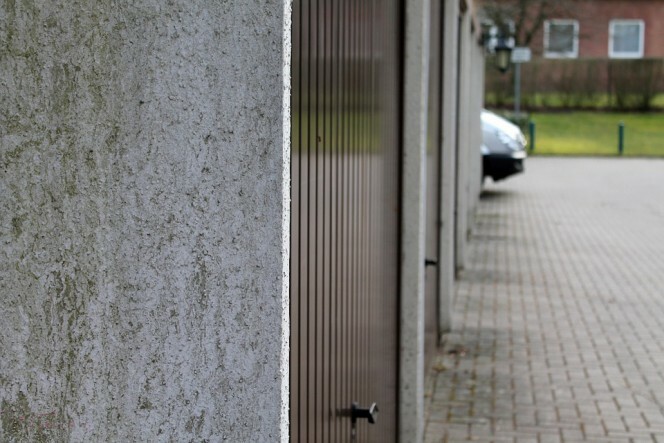 It should be noted that the locks originally installed on garage doors do not usually provide an adequate level of security and neither are they designed for installation on automatic doors. For this reason, the first step is to replace the standard lock (if present) with one specifically designed to be combined with an automatic mechanism which at the same time guarantees greater protection. 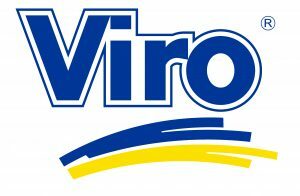 Viro offers several new solutions to provide greater security for automated up-and-over or folding doors; let’s see what they are. 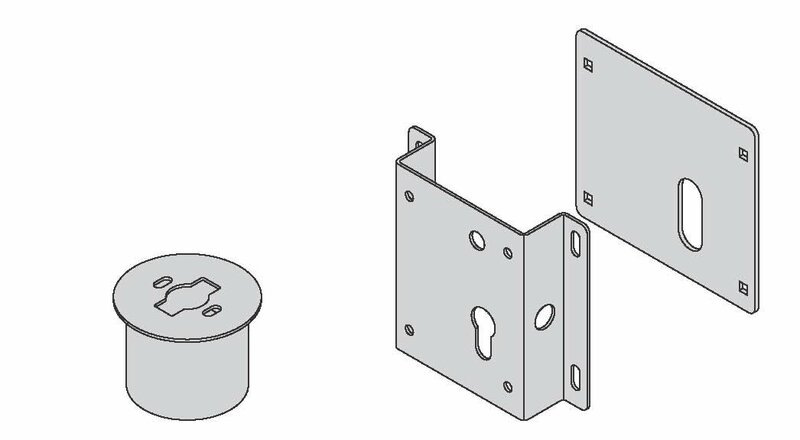 If the garage door is a motorised up-and-over type, the V06 electric locks or item 9087 are particularly suitable for the required use. 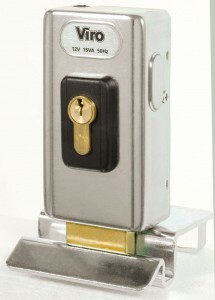 The V06 electric lock (and also item 9087), thanks to the rotating deadbolt in a central position and the design for operation with any double or half profile cylinder, offers maximum flexibility of application (not only vertically, but also either on the left or right) and, following the recent introduction of specific accessories, it has become easily applicable to motorised up-and-over doors (see photo). 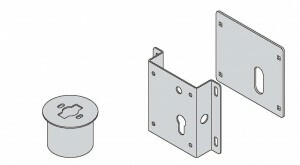 The one or more electrical locks in question (depending on the total width of the up-and-over door to be made secure) can be connected by cable to the automatic device control unit and are fixed internally to the motorised up-and-over device, by means of a pair of specific galvanised steel plates (one external and one internal, connected by appropriate spacers), and allow the closing of the deadbolt which engages a striker fixed to a robust T-shaped column, anchored to the ground with appropriate standard dowels. All the accessories have been designed to be adaptable to the possible adjustment requirements between the reciprocal distances of the various components, according to the possible mounting solutions. 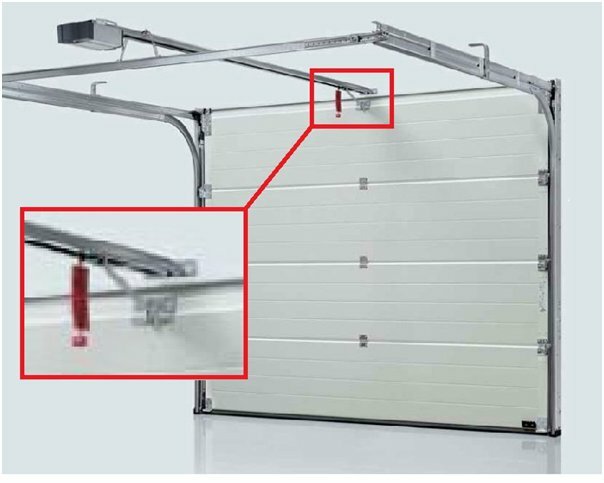 If, on the other hand, it is an automated folding door, the Viro V09 electric lock is suitable, also in this case thanks to the recent introduction of specific accessories, for providing a much greater protection than simple motorisation. 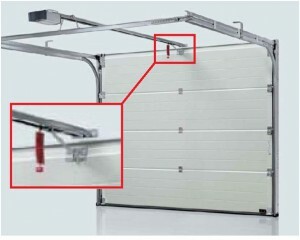 In fact, as we have already seen, the system’s motor transmits the motion via one or more L-shaped arms, which are often applied to the folding door with simple screws, which fasten metal or even plastic plates. 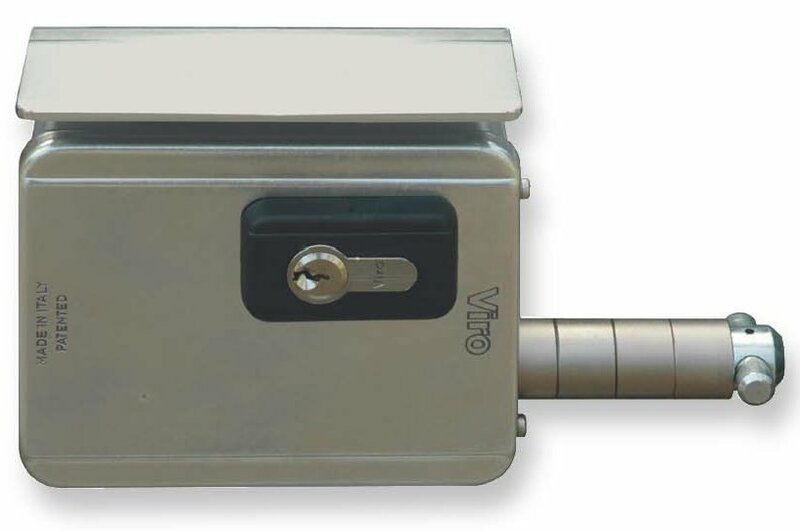 To prevent a thief from easily breaking the fixing points, by levering with a crowbar, it is worthwhile installing a lock, such as the V09, which provides protection even in case of strong impact, thanks to the robust rotating spike deadbolt. 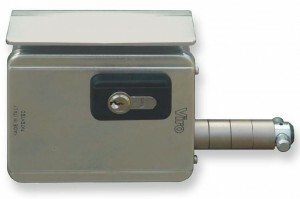 It can be seen that the V09 electric lock, which can be connected by cable to the automatic device control unit, is applied centrally in a vertical fashion, on the inside of the folding door, thanks to a pair of specific galvanized steel plates (one external and one internal, connected by standard screws) and allows the closing of the rotating spike deadbolt, which is anchored inside a robust floor striker, which is round in shape with pull-resistant flaps, cemented flush to the ground. The particular mechanism of the V09 lock deadbolt tolerates almost a cm in difference over time (for example due to weather changes) in the closing distance between the folding door and the ground, whilst the floor striker has an internal shape designed to prevent any stones from obstructing the closing of the lock deadbolt, and also water stagnation. A garage with motorised opening is attractive and convenient; make it even more secure with a dedicated electric lock and specific mounting accessories!